Meets on the 4th Thursday at 7.30pm, February – November, unless otherwise advised. Members are encouraged to bring along exhibits for the specimen table, which is a regular feature of each meeting. Pre-Meeting Dinner: Those who are able, have dinner before each meeting at Cafe Martini, 87 Murphy Street, Wangaratta, 6.00 – 7.15pm. All members are most welcome to attend. It’s a chance to relax with a nice meal and a glass of wine. 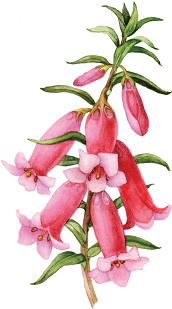 Membership fees: $12 Family $14 + Australian Plants Society Victoria membership fees. 2018-19 membership form can be found in the June newsletter.